Violist Angela Choong, a native of Columbus, Ohio, began her musical studies at the age of four and has since performed as a violinist and violist throughout the United States, Canada, Europe, and Asia. A passionate chamber musician, she joined the Hausmann Quartet in 2008, and has collaborated with distinguished artists such as cellist Gary Hoffman, violists Toby Appel, Cynthia Phelps, and Paul Neubauer, pianists James Tocco and Jeremy Denk, and the Alexander String Quartet. 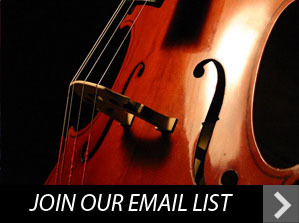 Recent engagements include Rockport Music, La Jolla SummerFest, San Francisco Performances, Aspen Music Festival, Great Lakes Chamber Music Festival, Music@Menlo, Lyricafest, and Blossom Music Festival. 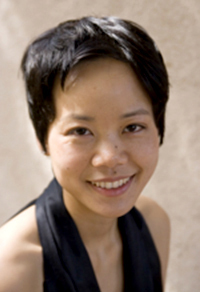 Ms. Choong holds advanced degrees in violin/viola performance and chamber music from The Ohio State University, Florida State University, Kent State University and San Diego State University as well as receiving grants to participate in international master classes at the University of Paris-Sorbonne, France. Her primary mentors were Michael Davis, Charles Castleman, Laura Bossert, and Beth Newdome. She has also studied viola with James Dunham, Jeffrey Irvine, and Yu Jin, and chamber music with the Miami, Emerson, Juilliard, Takacs, and Alexander String Quartets. She was a teaching assistant to violinist Beth Newdome at Florida State University, and to the Alexander String Quartet at San Francisco State University. Ms. Choong plays a d’amore style viola made by Hiroshi Iizuka in Philadelphia in 2006.